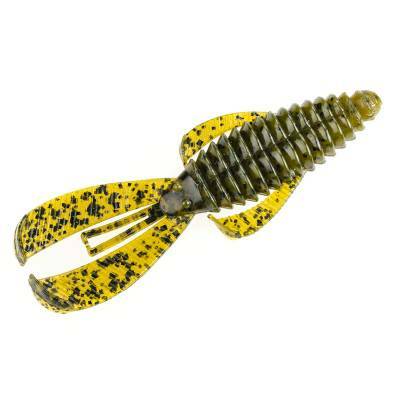 Strike King Rage Tail DB Structure Bug Soft Bait - Green Pumpkin. Denny Brauer and Strike King have designed this ultimate flip bait featuring a streamlined body with precise composition and ribbing that allows it to slip in & out of tiny holes in cover. The unique Rage Tail claws and appendages produce tremendous commotion any time it hits water. This soft bait is loaded with coffee scent, which masks human scents and oils. 4" long. 7 per package.